Why have Applaws decided to launch a dry cat food? We had one aim when deciding to launch a dry food and that was quite simply to produce the best dry food we could. We worked with leading international vets, animal nutritionists, animal behaviourists and cat breeders. We decided to go back to basics and the Applaws team, spent time researching the type of healthy diet a cat would eat naturally in the wild. Cats are obligate carnivores and must have a high meat diet to thrive. The short gastrointestinal system of cats is adapted to metabolise a diet high in protein and fats from meat, and not the high level of carbohydrates and grains typical in other dry cat foods. Why do you use 80% chicken in Applaws Complete Cat Food, does it really matter where the protein comes from? Humans can get protein from grains but cats find it easier to digest the protein in their food from quality meat as opposed to the protein derived from grains. Not all protein is the same. Proteins are very complex in structure and proteins are required for all aspects of growth and development and are very important in structural makeup and the immune system. Proteins are made up of amino acids, which are the building blocks of health and development. Cats require 22 amino acids 11 of these they can synthesize themselves. The remaining ones  which are called the essential amino acids they must get from their food otherwise health problems can occur. Applaws has been developed to ensure that your cats diet is naturally rich in all the essential amino acids to keep your cat healthy for longer. Why do I need to feed so little Applaws Complete compared to other pet foods? 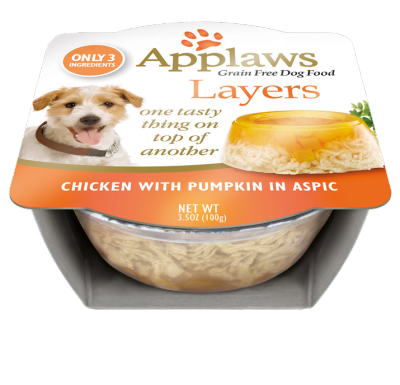 Applaws Complete is highly digestible and is concentrated goodness for your pet. As a result your pets nutritional needs will be met with less food, since your pet will utilise more of the food taken in as nourishment. Your pet will produce smaller firmer darker stools with less offensive odour, making clean up faster and easier. Digestibility measures the amount of nutrients absorbed into the body. These nutrients are needed for proper growth, stamina, reproduction and maintenance of overall good health and body condition. My pet suffers from an intolerance to gluten, would your pet food be suitable? Different types of grain gluten can cause a problem in some pets. The allergy can result in excessive scratching, hair loss and excessive body odor. Applaws complete is particularly suitable for cats that suffer from to gluten intolerance. However, if you have any concerns, please consult your vet. My pet suffers from a grain allergy. When can I expect to see an improvement to my pets wellbeing by feeding Applaws complete? Within 6  12 weeks you should see an improvement and find that your pet will stop scratching and biting himself. If your cat or dog has lost fur and has developed a bald spot as a result of an allergy it can take six months for the fur to grow back although in some cases it may not grow back at all. Always consult with your vet. Scratching and biting at the skin - when fleas, ticks and mites are not present - can be the result of food allergies. Over time, cats and dogs can develop allergies to a number of ingredients, such as beef, dairy, wheat and other grain products. The offending dietary ingredient need not be a new one in the diet. Allergies can develop to foods that have been fed for years but the allergy may develop with a sudden onset. Applaws complete has been developed to combat many of the common allergies pets suffer from. Is there salt in Applaws wet cat food as I have been informed over the Internet that salt is bad for a cats health. Whilst we do not add salt, yes, there is most definitely naturally occurring salt in our formulation. There is 1.134%, which is the ideal level for cats. Too much salt we all know is bad for us as it can lead to high blood pressure but a zero salt diet is also very bad for us. Cats like ourselves need an optimum level to keep us healthy. Sodium is one of the key elements in salt and is one of the primary electrolytes in the body (the other two are potassium and calcium). Too little salt in the diet can lead to muscle cramps, dizziness, or even an electrolyte disturbance, which can cause severe, even fatal, neurological problems. Drinking too much water with insufficient salt intake puts a cat at risk. Salt can also contain many beneficial minerals including magnesium, iodine, and over 21 essential and 30 accessory minerals beneficial to a cats health. Is there anything wrong in feeding canned meat with Applaws Complete? Applaws Complete dry food is especially created to be Grain Free so we if your pet suffers from a wheat or beef allergy we would ask you to check the ingredients of the canned food before feeding. We would also ask you to review the feeding guide if both products are complete and reduce appropriately to ensure that you are not over feeding your pet. Is there any taurine in the Applaws wet cat food? Applaws is naturally rich in Taurine which is an amino acid essential for the proper function of the heart and for eye health. Taurine is found in good quality meat protein and not in grain protein. Cats require a high level of taurine for their body functions, yet have limited enzymes which can produce taurine from other amino acids such as methionine and cysteine. Therefore, they need a diet that is high in taurine. If taurine is deficient, signs such as heart condition called dilated cardiomyopathy, retinal degeneration, reproductive failure, and abnormal kitten development can occur. In many other brands the level of natural taurine can be very low which is why they need to add taurine (often synthetic) to their food to meet the minimum standard required by a cat. Applaws does not need to add additional taurine as our products are packed full of natural taurine from the high levels of natural meat used which contain taurine which are well above the minimum levels required for cats. In fact, our wet products contain 2-3 times the recommended amount according to AAFCO(Association of American Feed Control Officials). Is it possible for a cat to have no carbohydrates at all? 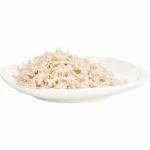 Carbohydrate in the form of fiber is also important for gut health  both for prebiotic functions e.g. oligosaccharides and bulk volume to allow gut contents to move and avoid constipation. (i)	The fats act as a concentrated source of calories, giving your cat and dog sustained energy. (ii)	They are essential for your pet to absorb fat-soluble vitamins, especially A and D.
I read that pet foods can be treated with radiation. Is this true and does Applaws use this method? Yes some pet food brands do irradiate their products as part of the production process. At Applaws we refuse to use such methods in the preparation of our food. I make my own home made pet food why would Applaws be better? 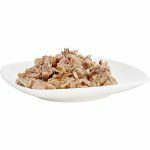 Another obstacle to homemade pet meals is in formulating diets that account for age, breed, size, and level of activity of the animal. According to the American College of Veterinary Nutritionists, Many recipes found on the web or elsewhere, even from well-meaning sources, may not be complete and balanced, creating the possibility of significant long-term harm to animals fed diets based on these recipes. Yes, it is extremely important that your pet has access to a plentiful supply of water to prevent urinary tract problems in the future. However some pets and particularly cats will not drink fresh water out of the tap. This is because fresh tap water can often contain high levels of chlorine, which some pets are particularly sensitive to. In such a case leave the water for 24 hours to allow the chlorine to dissipate before you give the water to your pet. Do you use BHA, BHT or Ethoxyquin in Applaws Complete Pet Food? No. We use more expensive natural antioxidants to preserve the freshness and taste of the product including rosemary, marigold, vitamins C and E (declared as tocopherol rich extracts of natural origin). Do you use any GM (Genetically Modified) ingredients in Applaws Complete? 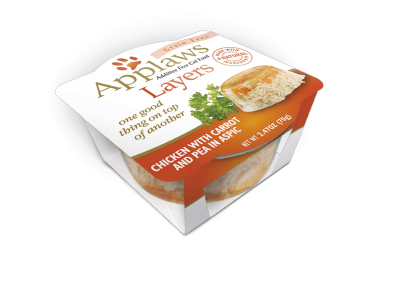 Applaws has taken the decision NOT to use any GM ingredients in Applaws Complete range. 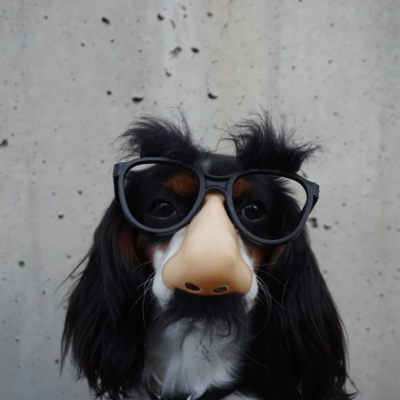 It is not illegal to use GM ingredients in Pet Food and many American brands have used GM ingredients in their Pet Food formulas for many years without any known side effects. As Applaws Dry is high in Protein will it make my cat fat? No, in fact the opposite is true. Most cats after a month or two will show an increase in lean muscle mass and as Applaws in low in carbohydrates most overweight cats will actually lose weight.